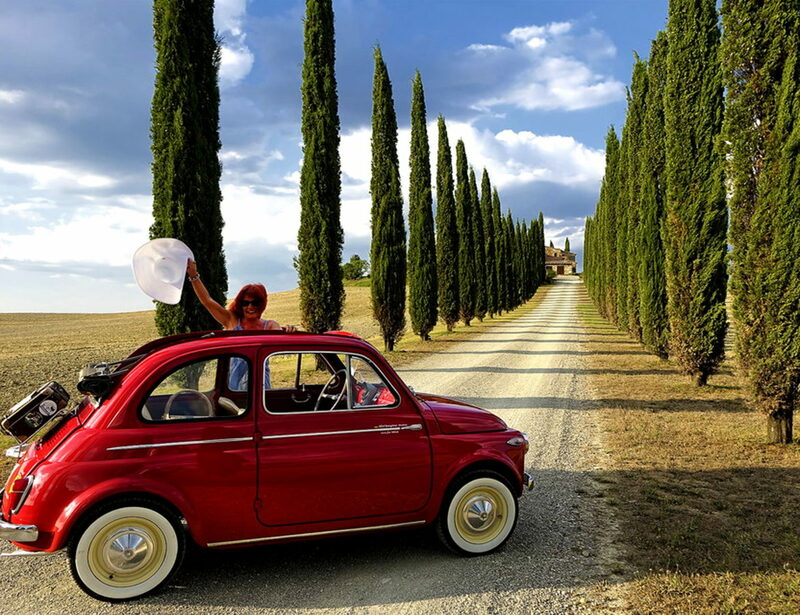 After the experience at the Sensory Spa, a vintage car will take you on a panoramic tour through the unique landscapes of the Valdichiana Senese and Val d’Orcia, listed among the UNESCO heritage sites, passing through the Nature Reserve of Villa “La Foce”. Here, do not miss the opportunity to take countless souvenir photos of such an unforgettable day. 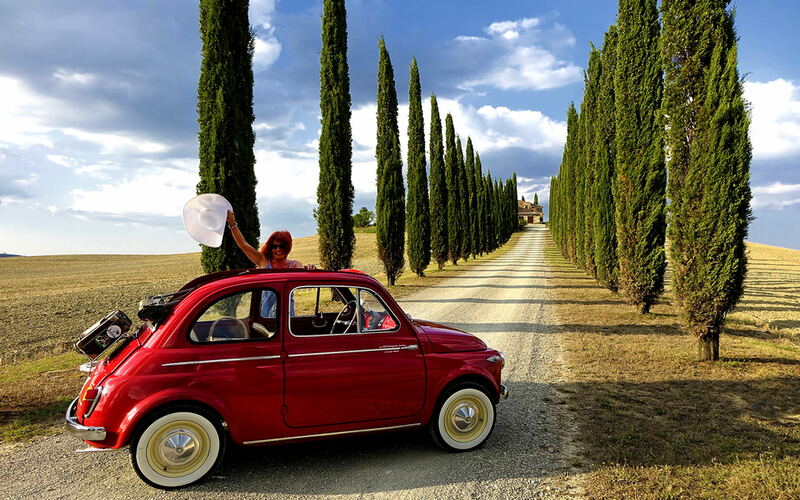 You will end this romantic tour, reminding of Federico Fellini in the 1960s, at a typical restaurant, where you will taste a platter of Tuscan cured meats, Pecorino cheese from Pienza, bruschetta, and other specialties, paired with a glass of wine.